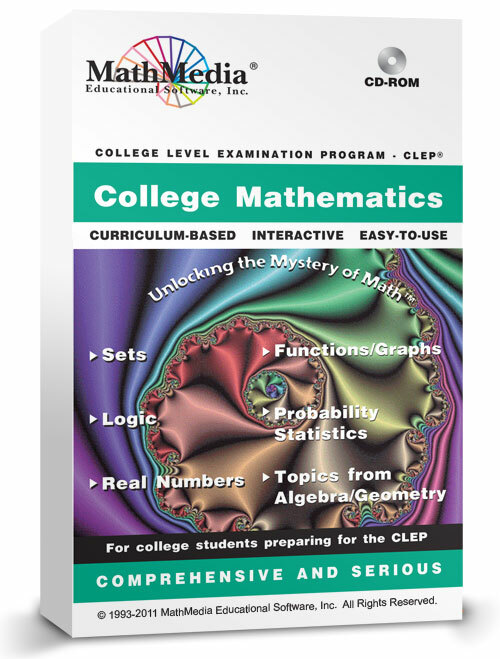 This CLEP College Mathematics program provides you with a complete learning opportunity for success on the CLEP test College Math exam. 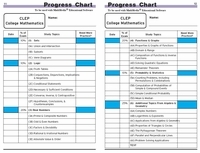 The interactive clep math practice program is structured in the same order as the "Knowledge and Skills Required" on the CLEP College Mathematics examination. Students preparing for college math placement exams will benefit from this program. This comprehensive program concludes with a practice CLEP exam (with the same content as the CLEP tests)which may be used as a tutorial with explanations or as a practice test for a grade -- weaknesses are analyzed so that the student can return to the body of the program for more practice. 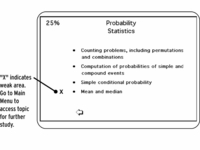 Each of the main menu college math topics go to separate sub-menus of topics. 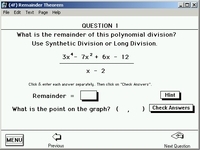 Each of these topics contains a comprehensive lesson with interactive practice problems and complete solutions. 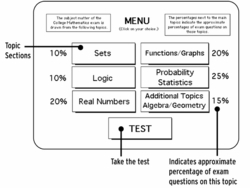 All the topics required for success on the CLEP College Math exam are in this learning system. 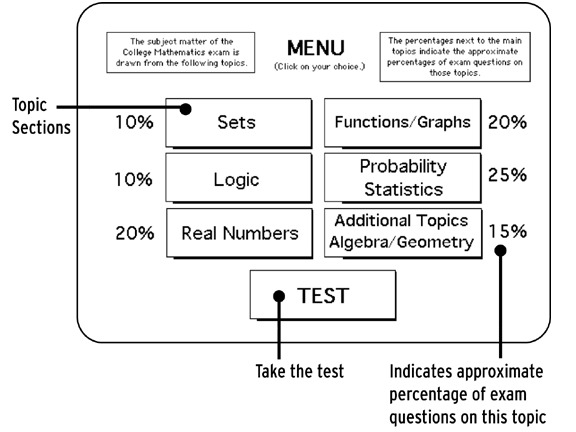 The practice CLEP College Mathematics test can be taken at the beginning of the study program to evaluate weak areas or after all the lessons in the program have been completed. There are a total of 34 lesson modules. CLEP exams provide students with limited time and funds to test out of required courses and gain college credit. The MathMedia CLEP college mathematics software provides college math learning opportunities with interactivity, math help, and a comprehensive practice CLEP exam. Typically, how long does it take to complete this particular program? Will this program prepare me for the college math clep test? Yes, if you complete this program and you understand the material you will pass the CLEP exam. Along with the practice CLEP test, there are over 60 learning sections - these learning sections will take between 30-60 minutes to complete. If you dedicate the time and discipline, you will be successful. 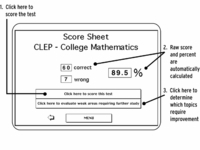 The learning system concludes with a comprehensive practice CLEP TEST.